AMAZING OPPORTUNITY!! This is the perfect chance to create your own pefect home sweet and have your creativity and personlity grace your next home. Whether you're looking to rebuild or remodel; there is not better possibility than this gorgeous lot situated in the exclusive area of Dover Shores / Westcliff community. This nearly 10,000 square foot lot features beautiful landscaping providing much needed shade under 2 amazing trees, it also features an in-ground swan pool with an attached love seat jacuzzi in the generous back yard. It is wonderfully located in Newport Mesa School District with Mariner's Elementary, Ensign Middle School, and Newport Harbor High School for families with school-aged children. You will enjoy being so close to Dover Shores, Newport's Back Bay, Bob Henry Park, Mariner's Park, Castaways Park, Back Bay Beach, North Star Beach, and Newport Aquatic Center. 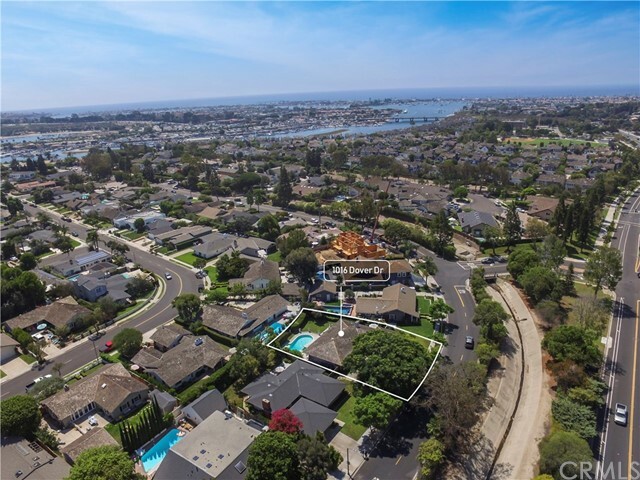 This is a great opportunity to remodel and make it your own or build your next custom home within this highly desirable and coveted neighborhood of Newport Beach. Just minutes away from Fashion Island, Balboa Island, the Balboa Peninsula, Corona Del Mar, and Crystal Cove State Beach!! This one won't last long!!! Welcome home!